meghan eats local: Please Pass the Psyllium! A recent study published in the August 24/31 issue of the Journal of the American Medical Association (awesomely abbreviated as JAMA) has found that a vegan diet rich in soy protein, nuts, plant sterols, and viscous fibers can significantly reduce cholesterol. Over a period of six months, a group of 345 Canadian volunteer subjects maintained either a vegetarian diet low in saturated fat and high in fiber and whole grains (the control group) or a special vegan diet including the four foods outlined above. Of those maintaining the special vegan diet, one group received seven counseling sessions with a nutritionist (intensive intervention) and another received only two counseling sessions (routine intervention). Soy protein, nuts, plant sterols, and viscous fibers have been identified as lowering the risk of cardiovascular heart disease, diabetes, and obesity. But according to study author David J. A. Jenkins, M.D. of St. Michael’s Hospital and the University of Toronto, this study is the first measure of the long-term effect of a diet rich in these foods as compared to conventional dietary advice. After six months, the LDL-C cholesterol (bad cholesterol) levels of those on the special vegan diet with intensive intervention were reduced by an average of 13.8 percent; the levels of those with routine intervention were reduced an average of 13.1 percent; while the levels of those who maintained the generally “healthy” vegetarian diet were lowered only 3 percent. Furthermore, the special vegan diet did not significantly reduce levels of HDL-C (good cholesterol). The researchers found that this intensive cholesterol-lowering diet significantly reduced diastolic blood pressure. It also reduced the 10-year cardiovascular heart disease risk by 11.3 percent in those subjects who had intensive intervention and by 10.8 percent in those who had routine intervention, compared to just a 0.5 percent reduction in the control group. I know what you’re thinking. What the heck is psyllium? 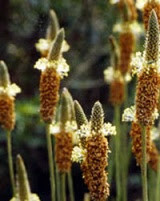 Turns out, it’s a pretty common dietary fiber of the genus Plantago, used in in high-fiber breakfast cereals (yum!) and in laxatives (yuck!). Its seed husks are used in ayurvedic medicine for things like colon cleansing and blood circulation. According to this study, diet alone can have significant effects without the help of drugs or even exercise. That’s great news for people with high cholesterol who can’t afford prescription drugs or don’t have the time or the physical ability to exercise often. And a dietary approach to health could significantly reduce the country’s healthcare costs in the long run, acting as a preventative measure for diseases and complications associated with high cholesterol. So please pass the psyllium! And, um, clear a path to the bathroom. oh that is so great news if you have a diet rich in soy protein, nuts, plant sterols, and viscous fibers, unfortunately I think I have to modify my diet, bu thanks for the heads-ups!